Fashion Sinamay Hats are very elegant and fashionable. Wear them especially during special occasions like garden weddings, luncheon parties or just an ordinary but fashionable day. Browse through our site for our collection of Bucket and Dressy Hats. Daintiness and sophistication: this is what the Fashion Sinamay Dressy Hats emit. Perfect for any outdoor and indoor, day and night occasion–your local garden party, dinner gala, birthday party, or wedding–these hats are a great pairing for a dressy ensemble. Fashion Sinamay Hats make a stylish and classy yet bold and fun statement, often adorned with soft ruffles, feathers, flowers, and bows. They come in different colors, adding another touch of fun to the hat. Made of straw material, the dressy hat is both breathable and light. The Fashion Sinamay Dressy Hat is a great option for fashionistas looking to add fun to their outfit while remaining comfortable. Fashion Sinamay Dressy Hats are the ideal hats for women looking to stand out from the crowd and mix things up a little in their wardrobe. Whether old or young, this is a great hat that everyone should definitely aim to own. Fashionable Hats are a dime a dozen and it is difficult to find the right one that suits your style. 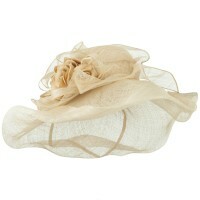 But if it is the epitome of fashionable Dressy Hats that you are looking for, then you should choose Organza Hats. Sinamay Hats are made from straw thus they are not only lightweight but also comfortable as they allow air to circulate through your head. 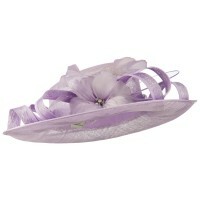 These hats come in different styles and designs so you are bound to find that suits your tastes. 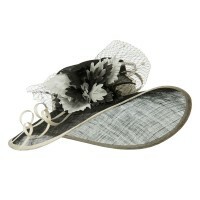 If you are looking for hats that have the same caliber as Sinamay Hats, your next option are Fascinator Hats. These classic and Iconic Hats are also lightweight and they add a lot of drama to your entire look. Get them with bow accents or you can opt for those with flower, feathers and ruffles. Your options are endless! While these two hats exude elegance and frills, you can choose Bucket and Dressy Hats if you value practicality and simplicity over design. Crushable Hats are practical as they can be folded and kept inside your tote if you do not want to wear them anymore.